At Astron, Brendan develops custom software packages for clients, as well as creates and maintains custom database systems in web-based SQL platforms. He develops and maintains custom survey tools for both desktop and web-based applications. Brendan is also the webmaster for Astron’s website. Prior to joining Astron, Brendan served as a Programmer and Web Developer for WYNIT Incorporated. At WYNIT, he participated with the IT department project team in designing the corporate intranet system, and aided in the design of the corporate intranet system utilizing PHP interacting with a MSSQL employee database. Brendan has also worked as a Computer Science Student Tutor at SUNY Geneseo where he tutored Computer Science students on programming assignments including Java, C, C++, SPIM, and Python, instructed students in UNIX operating systems and commands, and assisted students with computation theory projects, database design (including SQL queries), network systems, and formation of algorithms. Brendan graduated from the State University of New York at Geneseo with a Bachelor of Arts in Computer Science. He holds a Certificate in Professional Human Resources Management from Pace University. Brendan is a member of the Association for Computing Machinery (ACM), the International Association for Human Resource Information Management (IHRIM), the Human Resources Association of New York (HR/NY), the Society for Human Resource Management (SHRM), and the New York Urban League Young Professionals (NYULYP). He has served as HR/NY’s Vice President, Finance and Treasurer, and on HR/NY’s Executive, Newsletter, and Finance committees. 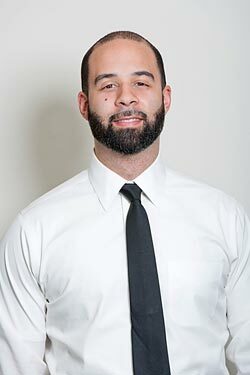 He has also served on the NYULYP’s Community Service committee.